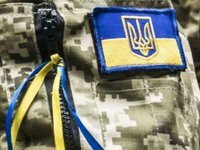 One Ukrainian soldier was killed in action, another four were wounded in action amid 19 attacks by illegal armed formations in the east of Ukraine, the Joint Forces Operation (JFO) headquarters has reported. "Compared to the previous day, on March 29, the situation in the JFO area significantly worsened. Within 24 hours, the enemy violated the ceasefire 19 times, using 16 times the weapons prohibited by the Minsk agreements, firing 100 152 mm, 122 mm 120 mm and 82 mm artillery shells. Russian-led forces fired at the positions of the JFO from artillery systems, mortars, weapons of infantry fighting vehicles, grenade launchers, large-caliber machine guns and small arms... Due to shelling one Joint Forces soldier was killed and four were injured," JFO HQ said in a statement on the official page in the Facebook social network on Saturday morning. Militants used weapons banned by the Minsk agreements. "In the action zone of the operational-tactical group Vostok (East), the enemy shelled the positions of our defenders seven times: twice using 120 mm mortars, heavy antitank grenade launchers, large-caliber machine guns and small arms near the village of Shyrokyne; 82 mm mortars, near Avdiyivka and Vodiane; mounted anti-tank grenade launchers near Lebedynske; automatic mounted and handheld anti-tank grenade launchers and small arms near Verkhniotoretske; automatic grenade launchers and heavy machine guns near Pavlopil," JFO HQ said. The following localities were also shelled: Troitske, Novoleksandrivka, Krymske, Popasna, Vilny small village and Zolote-4. "Since the beginning of the current day, the shelling of the positions of our troops has not been recorded," JFO HQ said. According to Ukrainian intelligence, four militants of the illegal armed groups were killed and six were injured. Also, the fire destroyed the Osa-AKM anti-aircraft missile system and the R-330Zh radio warfare station of the militants.